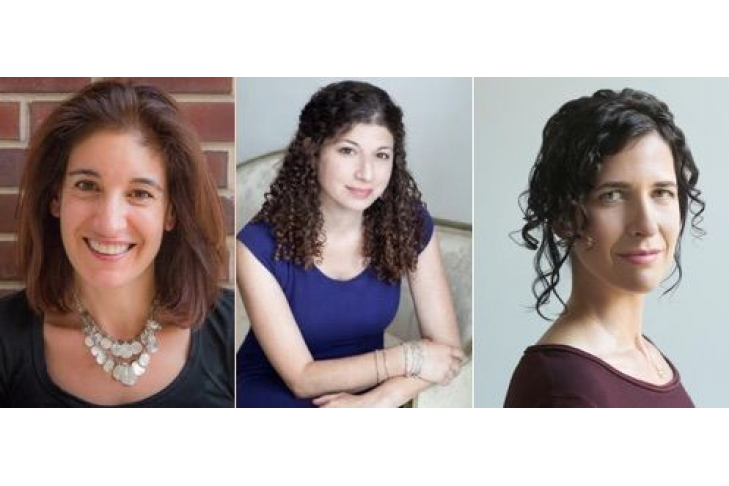 Join us for a conversation with authors Jennifer Brown, Tova Mirvis, and Anna Solomon. We will explore how and why writers make certain choices about the storylines of their characters, how their identities as Jewish women inform their storytelling, and what implications these have on our experiences as readers. Moderated by JWA Executive Director Judith Rosenbaum. Books will be available for purchase, and a book signing follows the event—just in time for Hanukkah! About the authors: Jennifer Brown is author of Modern Girls, (2016). Tova Mirvis has published Visible City, (2014), The Outside World, (2004), and The Ladies Auxiliary, (1999). Anna Solomon is author of Leaving Lucy Pear, (2016), Labor Day, (2014), and The Little Bride, (2011).